Sweet Yo's is Grand Rapids best frozen yogurt shop! We love bringing our customers the best frozen yogurt around. We are now making your lives even more efficient by launching our new mobile app for Sweet Yo's. Our mobile app will allow you to perform many functions that will save you time throughout your day. For example, instead of searching through your web browser and finding wifi, you can simply launch your app for one touch directions and calling. We have also implemented many other useful features into our apps that will benefit you. -Yo's Cam. We see you love taking pictures on Instagram at Sweet Yo's, so we have built in this feature into our app. Use our app to snap pictures at our locations & send them to us. -Yo's Wall. You can login with your Facebook & Twitter to write on our Yo's Wall. You can also see who commented nearby & upload pictures. -Yo's Calculator. You no longer need two apps to decide how much to tip your servers. Use the Yo's Calculator. -Exclusive App Offers. We are offering loyal customers and loyal app users exclusive app offers. Please download to check them out. -Yo's Locations. 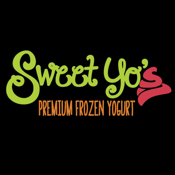 We have added all of our Sweet Yo's locations so you do not need to take the time to search if there is a location near you. Simply use our app. Thank you so much for your support and the app downloads.